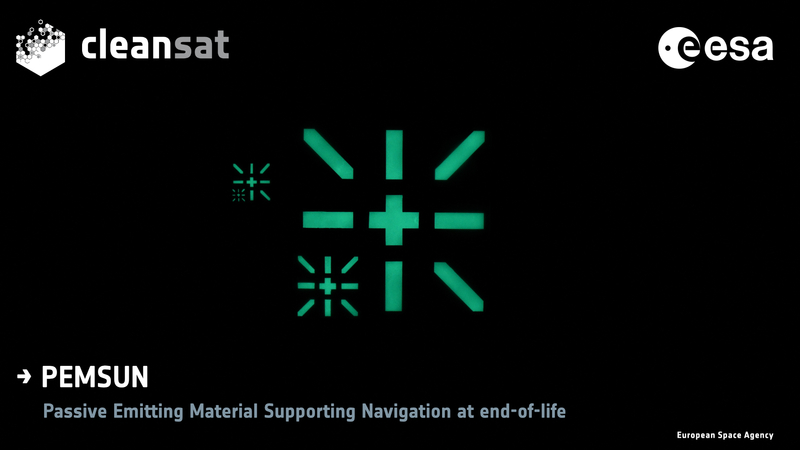 Hungarian company Admatis had designed infrared and phosphorescent markers to help the navigation of a satellite-chaser approaching a satellite-target. Helpful for future servicing missions, these markers will help to reduce the number of large debris items in orbit. 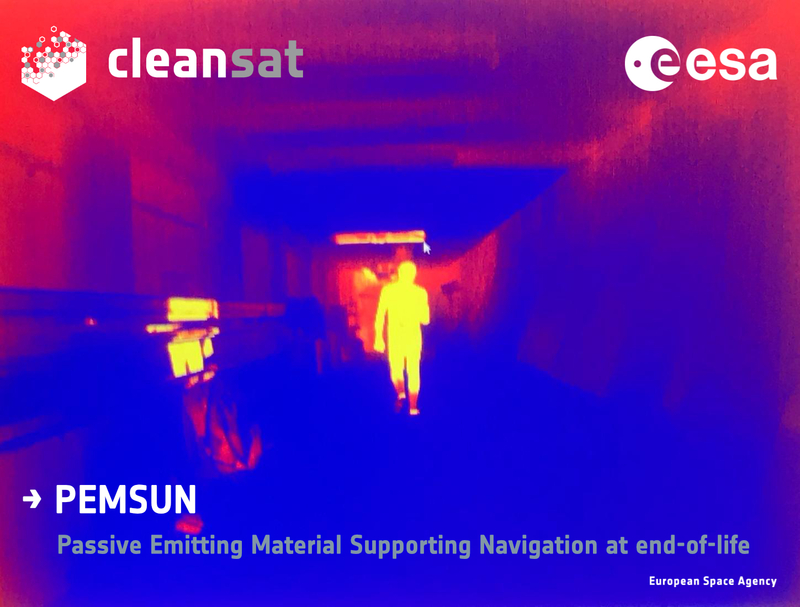 The PEMSUN activity led to the design, the manufacture and the testing of infrared and phosphorescent markers. These markers will be added on future LEO platforms to help the navigation of a chaser towards its target. 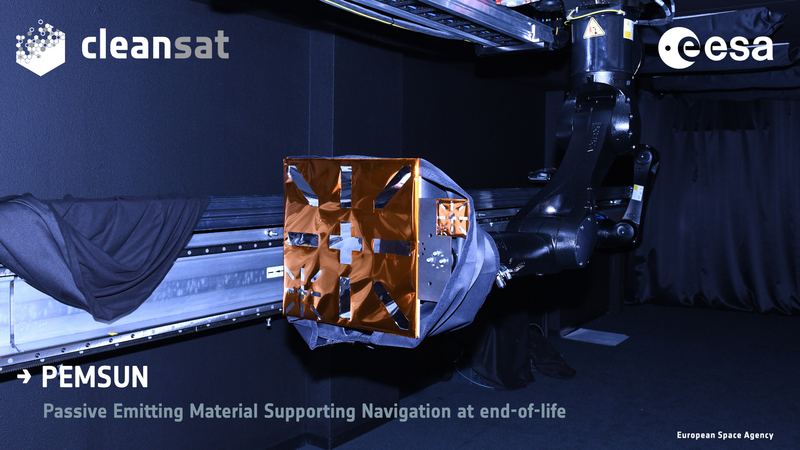 Among the various services offered by a chaser, ESA is currently focused on debris removal. Indeed, the proliferation of debris in orbit is becoming alarming. The markers will be added to the target during the design and manufacturing phase. The target is the satellite that will receive the service. 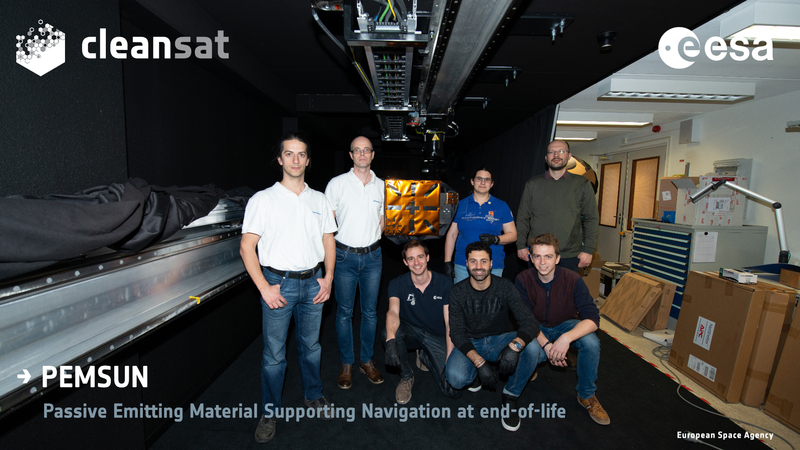 PEMSUN has been funded by ESA in the frame of Clean Space activities aimed at helping the removal of spacecraft at the end of their life. 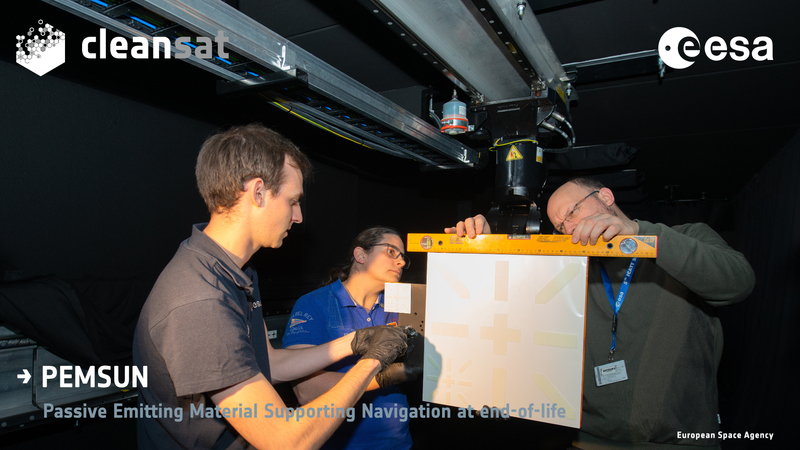 Admatis, the company awarded with the PEMSUN activity, came to ESTEC with its prototype markers at the end of March 2019. – the line of sight achievable. The results of the tests shall help to increase the reliability of the markers and more broadly, to understand the feasibility and potential of this technology. – help develop and test Design for Removal technologies. We will keep you informed about the development of these markers. You can subscribe to the blog to ensure that you receive all latest news by clicking here.